We value our clients' experience at Well Pet Vet Clinic. If your pet or animal is currently a patient, please feel free to complete the following Client Experience Questionnaire. The Questionnaire is in Adobe Acrobat format, and requires the free Acrobat Reader to view. 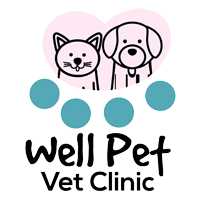 "The Well Pet Clinic is wonderful and I refer all my friends. They are very reasonable and the staff is great. They DO CARE ABOUT YOUR PETS! I was clipping my poodle and I cut a hole in his skin by mistake and I thought it was going to be hundreds of dollars and I felt really really bad for my doggie and I took him to Dr. Noe and she fixed him up for $25 and asked me to please just bring him to be groomed next time because their skin is very thin I swore I would. I was blessed with Dr. Noe and her staff." "Well Pet in Pittsburg is great! I take feral cats there and have them spayed/neutered. They offer great services at a discounted price. Much more realistic than neighboring vets. I feel comfortable leaving my animals in their care. If it was not for Well Pet in Pittsburg I would not be able to accommodate all the animals that I need to." "Well Pet veterinarians and staff are wonderful caring people. If your animal needs a shot for registration tags there is no office fee. They just come to the waiting room and administer the vaccination with a minimal fee. Their spay and neuter costs are quite reasonable. For those of us who appreciate good veterinary care at a reasonable price, this is the place to go."